Friends, underwriters, bond claim managers: lend me your eyes, and behold the saga of a surety that accepted collateral security from a financially unstable principal as an inducement for the issuance of new Miller Act performance & payment bonds. 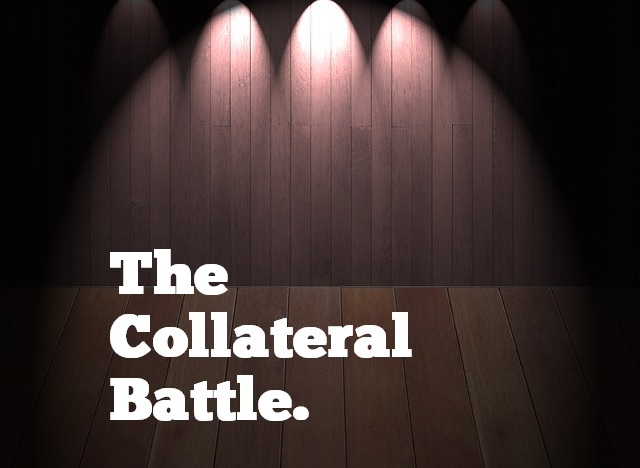 The drama unfolds when the principal files for bankruptcy protection within 90 days of the collateral transfer and the bankruptcy trustee — that most formidable of foes! — seeks to avoid the transfer as preferential. Fear not, dear readers! Our hero fights gallantly in In re ESA Environmental Specialists, Inc., and is richly rewarded in this Fourth Circuit Court of Appeals production. Act I: An Elegant Transaction. SunTrust then issues the L/C, and Hanover subsequently delivers new performance & payment bonds to ESA. Act II: A Conflict Ensues. Mid-summer, 2007. Storm clouds have gathered over ESA, as its financial condition has continued to deteriorate, despite the new work. On August 1, 2007, and less than 90 days since ESA forwarded the Prospect loan proceeds to SunTrust, ESA files a voluntary Chapter 11 petition in the United States Bankruptcy Court for the Western District of North Carolina, hoping to reorganize, keep its business afloat and pay its creditors over time. Unfortunately for ESA, its lender, Prospect, refuses to allow ESA to use cash collateral in the operation of its business, and the bankruptcy court approves the sale of substantially all of ESA’s assets to an affiliate of Prospect. As part of the transaction, ESA assigns to the affiliate its bonded contracts, litigation rights and the right to the return of any unused collateral remaining once the bonded contracts are complete. Meanwhile, Hanover responds to the bankruptcy petition by drawing on the L/C and receiving the $1.375 million face amount from SunTrust. When Prospect’s affiliate is unable to complete the bonded contracts, the bankruptcy court allows Hanover to take responsibility for them under the pertinent performance bonds. Hanover successfully completes the work and pays all subcontractors, spending approximately $700,000 – $800,000 of the L/C proceeds to cover completion costs. While Hanover plans to return the unused portion of the collateral to the bankruptcy estate, it has no intention of forking over what it needed to fulfill ESA’s bonded obligations. ESA’s reorganization doesn’t pan out, and by February 2008, its bankruptcy case is converted into a Chapter 7 liquidation proceeding. ESA’s newly appointed bankruptcy trustee then swings a deal with Prospect’s affiliate, whereby the litigation rights ESA had assigned to the affiliate are assigned again, this time to the trustee, in exchange for a split of any proceeds the trustee might obtain from successful adversary proceedings. You know what comes next. The trustee files an adversary proceeding against Hanover seeking the return of the entire $1.375 million L/C collateral, arguing that Hanover was an indirect beneficiary of ESA’s transfer of loan proceeds to SunTrust, rendering that transfer preferential and therefore avoidable under Section 547(b) of the Bankruptcy Code. Hanover fights back, arguing, among other things, that the transfer falls under the “new value” defense to the trustee’s avoidance powers, and as a result, Hanover is entitled to keep that portion of the collateral it needed to satisfy ESA’s obligations under the bonded contracts. Intermission: A Quick Bankruptcy Law Refresher. that enables the creditor to receive more than it would receive had the transfer not been made. At the same time, however, the Bankruptcy Code doesn’t want to stifle new commercial dealings that might stave off a bankruptcy filing in the first place. And so the Code expressly provides an affirmative defense to the trustee’s avoidance powers known commonly as the “new value” defense, under which the bankruptcy trustee may not avoid a transfer intended by the debtor and the creditor to be a contemporaneous exchange for new value to the debtor that was, in fact, a substantially contemporaneous exchange. 11 U.S.C. § 547(c)(1). The burden of proving the new value defense is on the party asserting it, who must prove with specificity the new value given to the debtor. In the ESA case, Hanover conceded that the bankruptcy trustee could make out a prima facie preference case (I’m left wondering why Hanover didn’t challenge the second prong of the five-part preference test, but I digress), choosing to focus instead on its affirmative defenses. Since the outcome of the 4th Circuit’s decision hinges on the new value defense and not Hanover’s other affirmative defenses (namely, the common law earmarking defense and principles of equity), I focus just on the new value defense below. The lights outside the theatre are flickering, and a bell is being rung. Time for Act III. Act III: A Judicial Resolution. Hanover wins both rounds 1 and 2, as its motion for summary judgment is granted in the bankruptcy court and affirmed by the U.S. District Court. 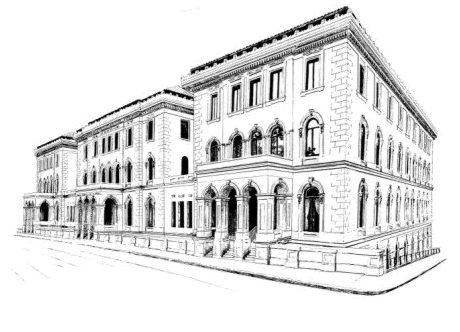 At the Fourth Circuit Court of Appeals, the battle lines are drawn over whether the new value defense applies, with the bankruptcy trustee offering two main arguments: (1) that Hanover failed to specify the exact measure of the new value ESA allegedly received; and (2) that any new value ESA may have received was not contemporaneously exchanged for the $1.375 million transfer that ultimately benefitted Hanover. On argument one, the 4th Circuit focuses on the affidavit of ESA’s former CEO, which states that the new contracts “had a face amount in excess of $3.9 million and the New Bonds provided ESA with the ability to proceed with the new government contracts and earn revenues in excess of $1,375,000 — the face amount of the Letter of Credit.” The bankruptcy trustee had no evidence to offer the lower courts to contradict the CEO’s statement, nor any evidence that the CEO’s testimony was either incredible or untruthful. The 4th Circuit, ruling that “Hanover only needed to prove with specificity that the New Contracts had a value at least as great as the amount of the alleged preferential transfer,” therefore finds the lower courts did not err by concluding that Hanover carried its burden of proving the new value defense with specificity. Hanover is halfway home. On argument two, the 4th Circuit agrees with the trustee that the revenues ESA expected to realize from the new bonded contracts were not contemporaneously received in exchange for the transfer of loan proceeds that ultimately benefitted Hanover. But the court goes on to find that the new contracts “have value in and of themselves in excess of $1.375 million based on the record in this case,” stating that the bankruptcy court justifiably recognized “the ordinary flow of a commercial transaction in obtaining a loan and conveying its proceeds to acquire a new asset, which in this case was the New Contracts.” There was therefore no error by the lower courts in concluding that ESA received new value contemporaneously with the exchange of the transfer that benefitted Hanover. Hanover carries the day, and wins the collateral battle! But is its triumph complete? Alas, only two of the three judges adopt Hanover’s position. A dissenting judge finds that ESA did not receive “new value” in the L/C transaction as that term is defined in the Bankruptcy Code: “money or money’s worth in goods, services, or new credit, or release by a transferee of property previously transferred to such transferee.” 11 U.S.C. § 547(a)(2). The dissenting judge believes ESA merely received a conditional promise to receive new value of $1.375 million, not a contemporaneous exchange of value as required by the Code. With apologies to Shakespeare devotees, English majors, stage actors, theatre operators and fans of Breakin’ 2 everywhere.